Skeptical about everything on economics, politics, and investment, especially my own opinions. Watching for financial predators. What about your mother ? Beware of the vicious data-mining bias ! Scraping large amount of data can lead you to a big mistake. Here is why, and how to avoid it. 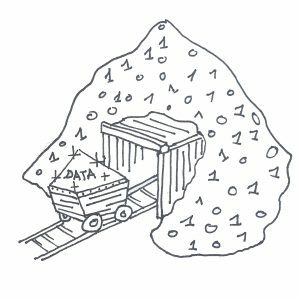 In my recent “quiz” about technology, I mentioned that finding usable data buried under mountains of useless one, the activity called “data-mining”, was a perfect application for artificial intelligence and especially neural networks. But I also mentioned that this activity might also present a huge caveat, a logical bias that we should all be aware of. This bias, very unsurprisingly named “data-mining bias”, is what I want to talk about today. So let’s talk about this scary “data-mining bias”. Continue reading Beware of the vicious data-mining bias ! Posted on 23 July 2018 19 September 2018 Categories Analytics1 Comment on Beware of the vicious data-mining bias !